•Inexpensive alternative to heavy duty tool allowing user to save money. •Use with HellermannTyton ties up to 0.19" wide for a variety of available options. •Lightweight design reduces operator fatigue. •Simply twist to cut for reduced effort. •Inexpensive alternative to heavy duty tool allowing user to save money. •Use with HellermannTyton ties up to 0.19" wide for a variety of available options. •Lightweight design reduces operator fatigue. •Simply twist to cut for reduced effort. 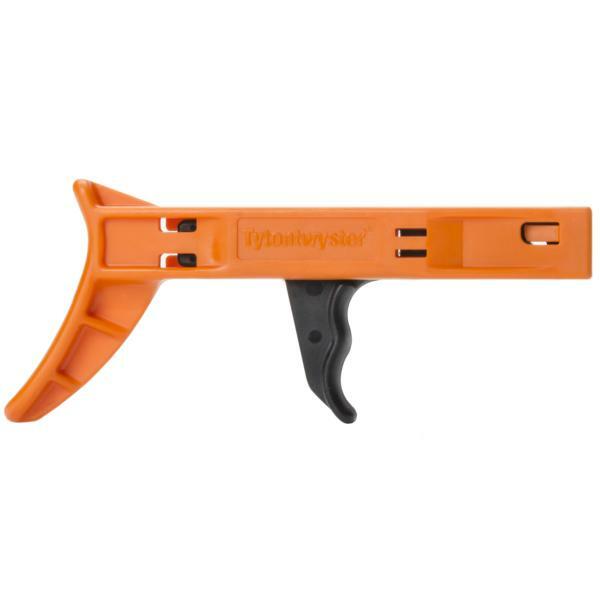 The TytonTwyster (TWT1) is a lightweight and economical twist tool that offers speed and efficiency. It can be used on HellermannTyton T18 thru T50 series.